Get a look at one of the new Vault Hunters from Borderlands 3 in more depth. 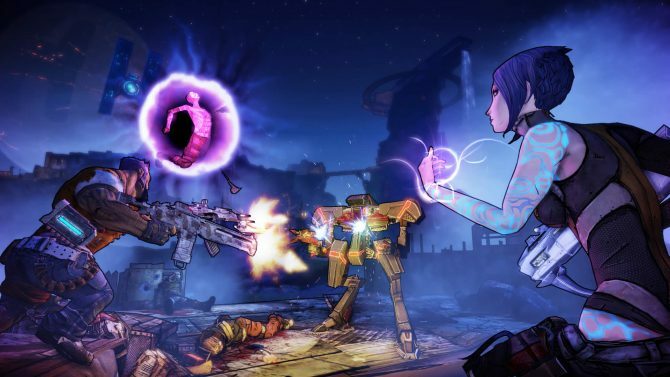 Borderlands 3 has finally been announced and while we have yet to see any real-time gameplay, we have seen the new Vault Hunters in action from a trailer. Naturally, the internet went to work to find out as much information they can regarding the newest entry in the beloved looter shooter franchise. Even though there hasn’t been a lot discovered worth noting, we have seen a decent look at the weapon optimization of Moze’s mech. 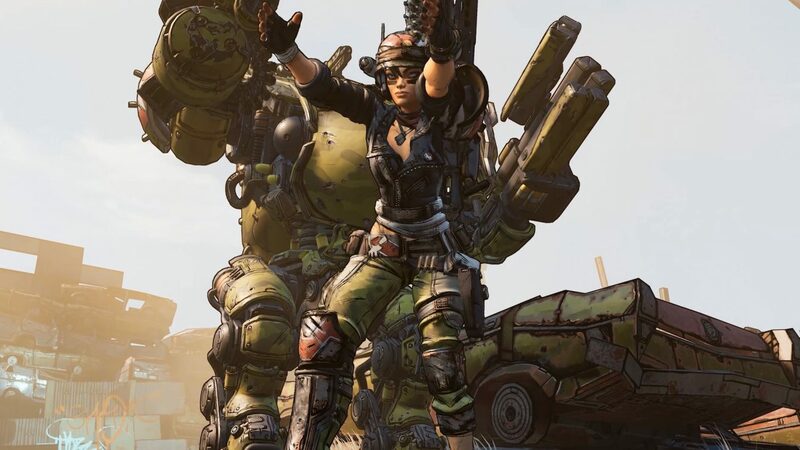 Moze is one of the four new Vault Hunters who’s special ability is to summon a mech. In a screenshot from Borderlands 3’s official subreddit, we see the mech apparently equipped with numerous different weapons that range from claws, a minigun, a grenade launcher, and of course, a flamethrower. Now this is only based off the trailers and we have no confirmation as of yet, but regardless we should expect a good arsenal of weapons to obliterate psychos with. Along with Moze the Gunner we have Amara the Siren, FL4K the Beastmaster, and Zane the Operative as the Vault Hunters for Borderlands 3. Hopefully, we will find out more regarding the Vault Hunters on May 1st where Gearbox is holding a live stream to debut gameplay. 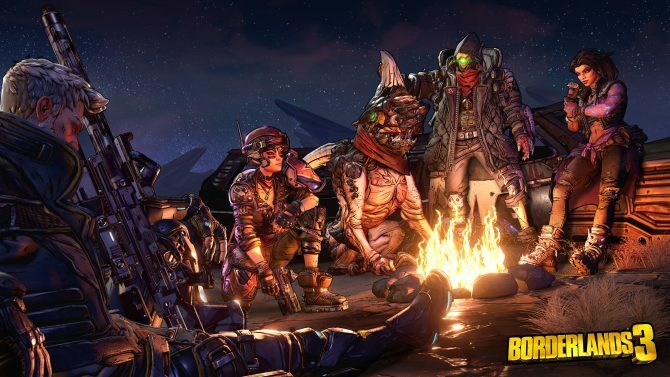 Until then, we have the newly released Borderlands Game of the Year Edition available to play and the new 4K UHD update for Borderlands: The Handsom Collection on Xbox One, PS4, and PC. 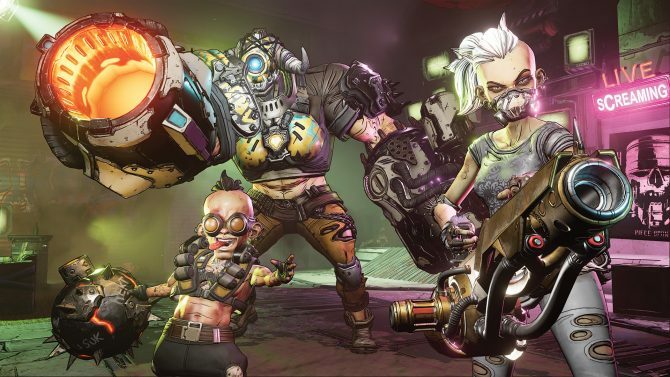 Borderlands 3 is set to release September 13 later this year for the same platform with numerous editions up for pre-order.